I was on a holiday to Denmark last week. When I returned home Monday I was happy for a lot of reasons, but a couple of them had to do with Les Misérables - a musical I've been obsessed with for over a year now. First of all, I had found a Danish Les Mis CD from Aalborg. Danish is a language I don't understand one word of, and I got to admit the CD wasn't too special. The orchestrations reminded me of the 1992 Paris revival one. Nothing too much compared to my number one favourite, Dutch 2008 revival, for example... I could also criticise the odd cuts: I wonder why they felt suitable to cut Who Am I but record Javert's Arrival? But I also got to admit that I was surfing the net so frantically while listening to it that I might've missed some special touches. At least Javert's "no" (or in this case, "ej") during The Prologue made me giggle for some reason (2:49 at here). The second one made me even happier than having some Danish tunes to listen to. 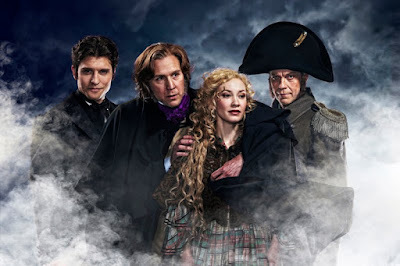 Åbo Svenska Teater, a Finnish theatre that's putting up a non-replica production of Les Misérables next fall, had released some press photos featuring Marius, Valjean, Cosette and Javert! I love non-replica productions and find it fascinating to see what different productions can come up with the same characters. So far it seems like they're going to give us a great show - even though they've quite a small stage and will be singing in Swedish. While I study the language at school my understanding of it still lacks more than a little... But then again, I love the Dutch revival and understand about a word of the language. Now, back to the subject: let's see some Les Mis awesomeness in the form of photographs! I know they still can change the costumes seen in these pictures before the premiere. But, just for this blog post, let's imagine these are the ones they'll use. I love these pictures and especially the one above! It's cute how Valjean is kind of protecting Cosette from the cruel world with it's amorous student boys and obsessed inspectors and all that. Of course, it's somewhat weird how the picture seems to stage Marius as one of the villains - but maybe Marius is just that in Valjean's mind. 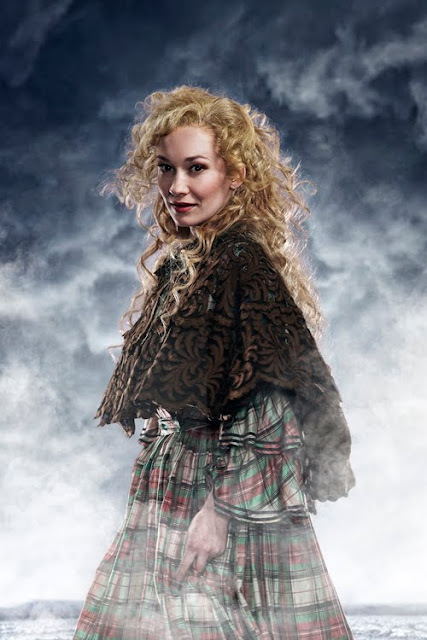 I love how Cosette has blond hair here, like in the 25th Anniversary Tour. To me it's always seemed logical to give her blond hair, what with her mother's golden locks. I'm happy they did it here. I'm also happy about how the costume is something new compared to the traditional black one. I've been told the actress playing Cosette has already played the part eleven years ago, when Les Mis ran in Finland the previous time, so she must be on the limits of being too old for Cosette - but luckily that doesn't really show in the pictures. Sure, he's not one for flashy colours in London, neither. Still, his apparel seems somewhat boring, especially when you compare it to Valjean's. Quite a bit lighter from the London One Day More costume, for example, and I like it! 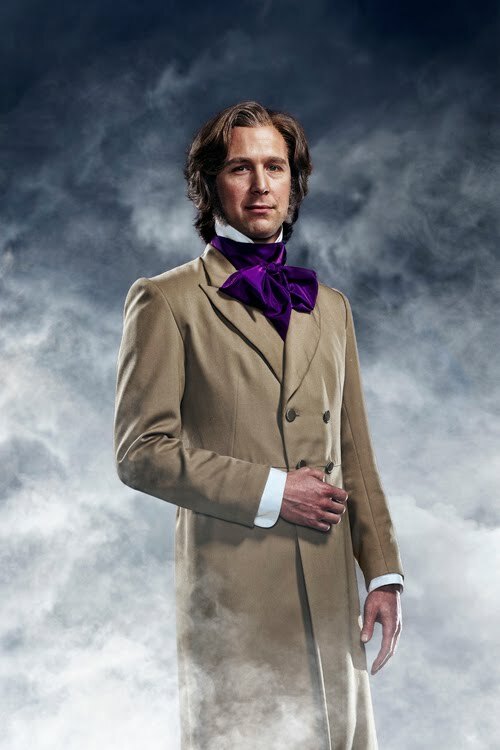 The colour combination of the coat and that violet... bow... thingy... looks very good to me. And he doesn't have a beard! Wonder if that will change before the actual show... Hopefully not, since I really like this look and can't wait to see the rest of his costumes. I'm especially curious about how they'll handle the barricade uniform. And I can tell you, I'm already a little bit in love. Even though his sideburns seem to be screaming something about not being really detached of his face, and screaming that pretty loudly. 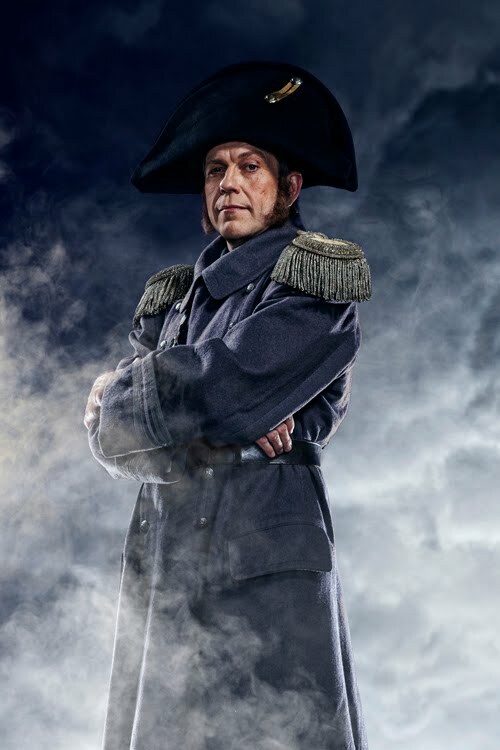 (Has there ever been a Javert without sideburns in any version of Les Misérables? I'd love to know!) But the costume seems great with those... things on the shoulders... - please, someone, educate me about these fashion terms! I'm doing terribly, even though my favourite TV show at the moment is Project Runway! 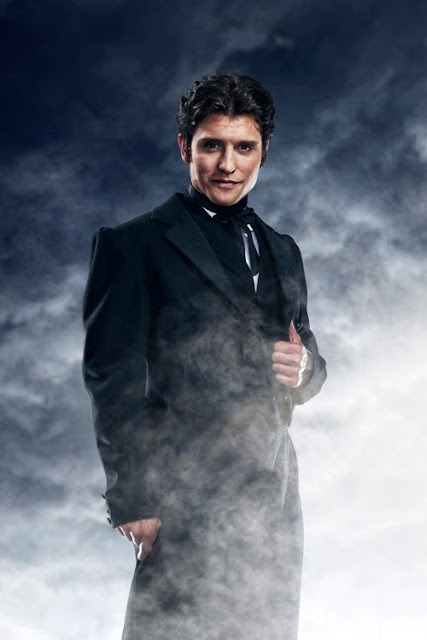 - and he has a great Javert-ish stare going on in the both of the pictures. Hopefully he has a great voice, too! Since he also played this role eleven years ago I believe (or hope, at least) that they wouldn't have hired him again if he wasn't good. So... Can't wait for October 2nd! Do you ever have the kind of days when you wake up by the sounds of your neighbour's kids jumping on a trampoline and screaming? When it's too hot outside and inside to do anything else than lazily play some half-decent computer game? When none of the songs in your iTunes feels right and you answer to the first notes of your very favourite tunes only with a grumpy "oh no, I don't want to listen to this, shut up!" and a click on the next song button? When you spend an hour and a half figuring out a name for your new blog? Maybe it comes as no surprise to you that this day has been a day just like that for me. There were quite a lot of blog names I rejected during that hour and a half. I almost went for "The Porcupine Cake" but decided the cake looks too stupid to name anything after it. I also thought about "The Locusts! Not My Fault!" and "I Know What Ice Fishing Is" but found them too confusing . "Snow and Monsters" seemed odd during the middle of the summer and "My Essential Opinions" felt a bit too much like stealing the title of The Essential Calvin and Hobbes. So, Some Superfluous Opinions it is, and that points towards to what I'm going to do with this blog. I'll decorate this space with my opinions and thoughts about whatever I feel like writing about, thoughts that don't always seem to find an avid listener in real life but which I still want to tell someone about. A lot musical nerd talk and some text about movies, I guess, complete with a little bit of random babble here and there. So, my name is Siiri, I'm a 17-year-old musical-theatre-and-Pixar-movies loving Finnish girl and I'll write another entry as soon as the temperature in this room recedes so that I can think again.